Honestly, I don’t know what the real name of this Xbox 360 controller variant is—the word “transformer” is awesome…so I’ll use that. 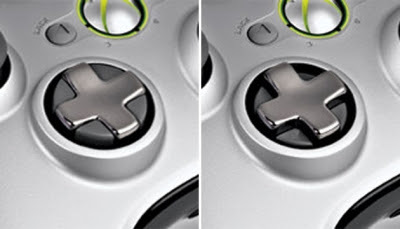 How Microsoft screwed up a directional pad in the first place is beyond me. This controller features a transforming D-pad, with two options: the regular confusingly designed D-pad from the original controller, and a redesigned pad that is supposedly much more responsive. Sadly that’s not the case. While the D-pad is certainly much better--much sturdier, and responsive when pressing a single direction, or pressing in diagonal. Sliding from down, diagonal, then to forward movement in one swift motion is a crapshoot at best. This is mainly a problem with fighting games. I tested this with a few fighting games, and while it worked fine with Street Fighter at times—with Soul Caliber and Tekken it’s not precise enough to pull off the more complex movements. It’s about 50-50 that you’ll throw out a move that requires a down, down/ forward, forward movement (The means rarely pulling off Tekken’s Electric God Fist move, which is commonly used by about 5 different characters). You can flip--literally--between the original D-pad and the sturdier redesign. 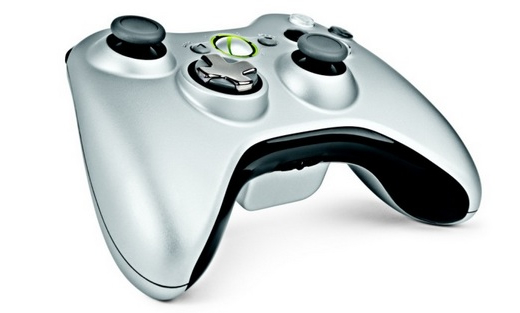 It’s baffling to me that a D-pad is the biggest gripe with the Xbox 360 controller. If it weren’t for that it would probably be the best controller ever designed. Making the new D-pad sturdier wasn’t quite what needed to happen to improve movement. It actually needed to be softer. Like the DualShock controller on the PlayStation 3, or even the PlayStation 2…or PlayStation 1—hell the NES and SNES had better D-pads than the Xbox 360 controller. And the common theme is that they were all much softer and a little squishy, but they didn’t sacrifice preciseness despite being made of softer plastic. Other differences are purely cosmetic. I’m ambivalent to the gray-scale color scheme; and the analog sticks are more concave…but none of these differences are necessary. It’s not a complete miss, but what this controller should be good at is fighting games. It’s not. This controller is an odd beast. I’m sure there’s a much better 3rd party controller that outshines this one; at least it’s D-pad. Yet for as expensive as this controller is, I shouldn’t need to search elsewhere for a better product. I say pass on this peripheral. I read alot of great things about the Razer Onza TE Controller. Their D pad is not like any 360 I ever seen and it can also be use on PC.